Although lower back pain is the most common type of back pain, it’s possible to get pain in your upper or middle back area too. In medical terms, this is called thoracic back pain. It refers to pain that may often be between your shoulder blades but could be anywhere in your upper back between your neck and your waist. It’s difficult to say how many people are affected by upper back pain because there are lots of different reasons why you might have pain in this area. 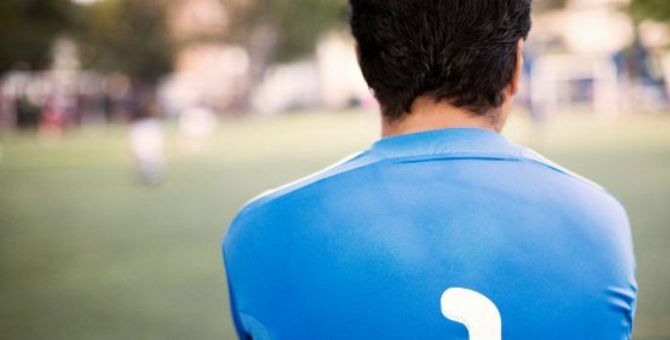 It’s rarer than lower back pain, but still very common, and tends to affect more women, children and teenagers. This information gives an overview of the possible causes of upper back pain, along with the symptoms, diagnosis and treatment. Your back has many connected parts, including bones, joints, muscles, ligaments, nerves and tendons. Your spine supports your back. It’s made up of 24 separate bones called vertebrae that are stacked on top of one another. Below these, are the bones of your sacrum and coccyx, which are at the bottom of your spine. 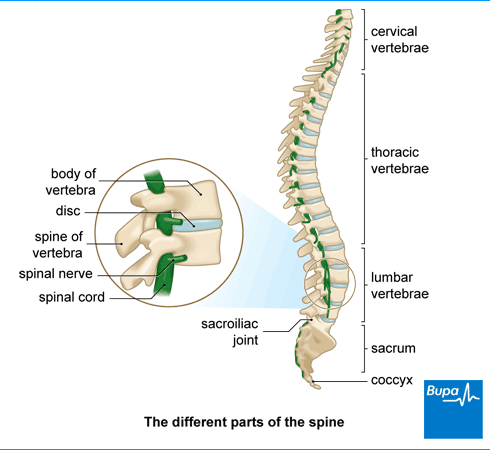 Between the vertebrae are discs that act as shock absorbers and allow your spine to bend. Your spinal cord passes through the vertebrae. It carries nerve signals between your brain and the rest of your body. The spinal cord ends in your lower back as a bundle of nerves. This is called the cauda equina (Latin for horse’s tail) which it’s thought to resemble. There are lots of potential causes of upper back pain. Sometimes you can get pain with no known cause. Pain that doesn’t have a clear or known cause is called non-specific back pain. This is often due to irritation in the muscles and soft tissues in your back. spinal stenosis (when your spinal canal – the tunnel-like passage that carries your spinal cord through your vertebrae – narrows and presses on the nerve). Symptoms can vary from person to person and depend on what’s causing the pain. The pain can be mild or more severe. It might affect your daily activities and sleep. You might have sharp pain in one particular spot or a general achiness that comes and goes. Pain that doesn’t have a clear or known cause is called non-specific back pain. Your doctor will ask about your symptoms and examine you. They may then be able to diagnose and explain the cause of your back pain or they may need to refer you for some tests. Upper back pain is often caused by muscle strain, but sometimes there might be a more serious cause. Red flags are certain features and symptoms that your doctor will identify that may mean your upper back pain is being caused by a more serious underlying condition. Your doctor may also ask if you have a feeling of weakness in your legs, or if you have bladder and bowel problems such as incontinence. This may point towards a slipped disc or injury that is pressing on the nerves in your spine, and sometimes your spinal cord. If you have an underlying problem that is affecting your lungs, oesophagus, stomach, pancreas, liver or gall bladder, you might have referred pain. This is when a problem elsewhere is causing pain in your upper back. Depending on your symptoms, examination and medical history, your doctor may refer you for further tests. These might include blood tests, X-rays and an MRI scan (a test that uses magnets and radio waves to produce images of the inside of your body). You might also have a DEXA scan, which measures how strong your bones are. If you have upper back pain, it’s likely it will get better by itself without treatment. If it’s not caused by anything serious, it will probably get better within a few weeks. You can try some self-care measures such as improving your posture or putting an ice pack or heat pack on the area that hurts. Make sure you wrap this in a towel and don’t apply it directly to your skin. You can also take over-the-counter painkillers such as ibuprofen. Ask your pharmacist for advice. If the pain is caused by a particular condition, your doctor will look to treat the underlying problem that’s causing the pain. Treatments may include medicines, physiotherapy, injections and manual therapies. What pain relief can I take for upper back pain? What pain relief can I take for upper back pain? Your treatment, including medicines for pain relief, will depend on what’s causing your back pain. If your doctor identifies an underlying condition then treatment will focus on helping with that, and as a result your upper back pain should get better. If you know you’ve strained your upper back, you can take an over-the-counter painkiller to help ease the pain in the short term, for example paracetamol or ibuprofen. Always read the patient information leaflet that comes with your medicine and, if you have any questions, ask your pharmacist for advice. You can also put an ice pack or a heat pack (such as hot water bottle) on the affected area. Make sure you don’t apply heat or ice directly to your skin – wrap it in a towel or cover first. How can I stretch my upper back? How can I stretch my upper back? Here are some good stretches you can do for your upper back, particularly if you spend a lot of your workday sitting at a desk. Sit straight with your feet together. Put the palms of your hands into the small of your back. 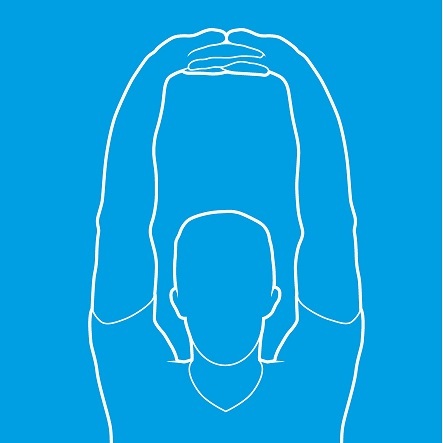 Lean back over your hands, feeling your lower back stretch out. Stand up and stretch your arms out behind you. Clasp your hands together and gently lift your arms. You should feel the pressure in your shoulders ease off. Hold both arms above your head. Link your hands with your palms facing upwards. Reach as high as possible. You should feel your shoulders stretching. You can learn more about how set up your desk correctly. What upper back exercises can I do? What upper back exercises can I do? Some good exercises for your upper back include the following. Try doing 3–4 sets of 10 repetitions, three times a week. 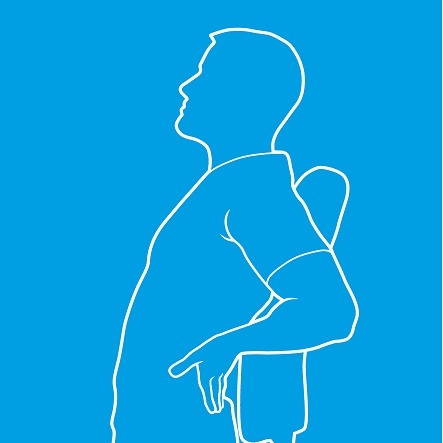 This will help strengthen your back and prevent pain coming back. Lie on the floor (on a yoga mat, if you have one) face down with your arms stretched out in front of you. Engage your core (tighten your tummy muscles) and lift your arms and shoulders up off the floor. At the same time lift your legs, keeping them as straight as you can. Hold for a moment and then lower back down to the floor. Stand with your feet hip-width apart holding a dumbbell in each hand. Keep your knees soft. Bend forward from your hips keeping your back straight and your core strong. At the same time extend your arms forward so you’re holding the weights out in front of you. Pull your elbows back and up, keeping your back straight and your core strong. You should feel a squeeze between your shoulder blades. Lie on the floor face down and place your hands on the floor either side and in line with your chest. Use a yoga mat. 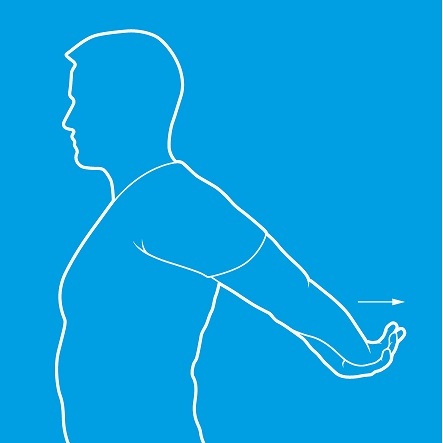 Your elbows should be pointing up towards the ceiling. Push up so that your chest is lifted. Keep your neck straight and in line with your back. It might help to look forward to a point on the floor out in front of you. You should feel the stretch in your back. Hold for a few seconds and then lower yourself back down to the start position. What is good posture? What is good posture? To stand with a good posture you need to stand straight with your chin tucked slightly in and your shoulders back and down. Your ears, shoulders, hips and ankles should all be in one line. Ankylosing spondylitis is a type of arthritis that mainly affects the joints in your spine (backbone).